With Manchester United manager, Jose Mourinho preparing to hand new signing, Alexis Sanchez his club debut in the FA Cup fourth round tie away at Yeovil Town, the Portuguese tactician has stated that the 29-year-old is very useful as he can play a number of positions in attack. The former Arsenal man signed earlier in the week on a staggering £450k-a-week deal and will be looking to hit the ground running. There had been fears that Jose Mourinho will stifle the attacking midfielder given his sometimes pragmatic style, but the former Chelsea handler has stated that Sanchez will be given a fee role to punish our opponents. 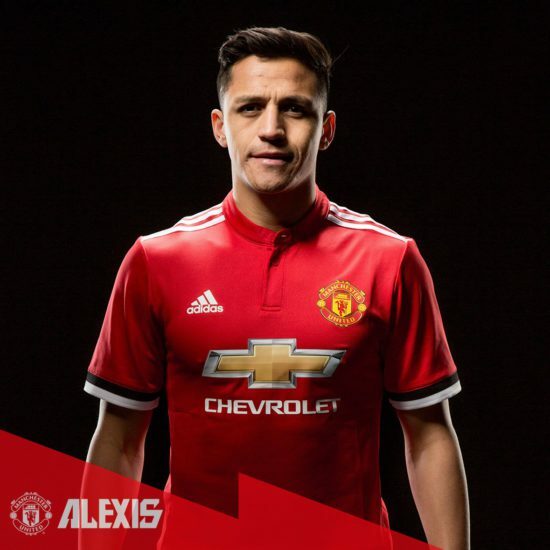 United made a statement of intent with the signing of Sanchez as we trumped Manchester City to the signing of the player, after the Citizens were favoured to get his signature. Mourinho was speaking at the pre-match press conference ahead of tonight’s game when he answered questions about Sanchez’s best position. It is a question of not if, but where Sanchez would play as he offers an edge to his game that none of our attacking players can boast of his numbers when it comes to his attacking input. The manager, who has signed a contract extension with the club was quoted as saying on Sanchez, “We have got one of the best attacking players in the world and he’s very important for us because we want the best possible players. “He can play everywhere, in the attacking positions. “I have seen him play on the right, on the left, as a striker and behind the striker; these are Alexis’ positions” he added. Alexis is a supremely gifted player that adds an improvement to our attack. He is known for his passing, determination, can-do spirit and remarkable work rate. He has over 200 career goals for club and country.